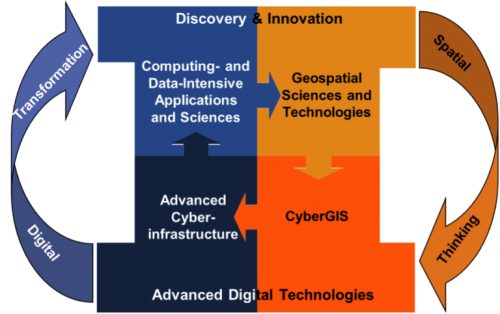 The mission of the CyberGIS Center is to empower advanced digital and spatial studies through innovation of CyberGIS technologies and applications. 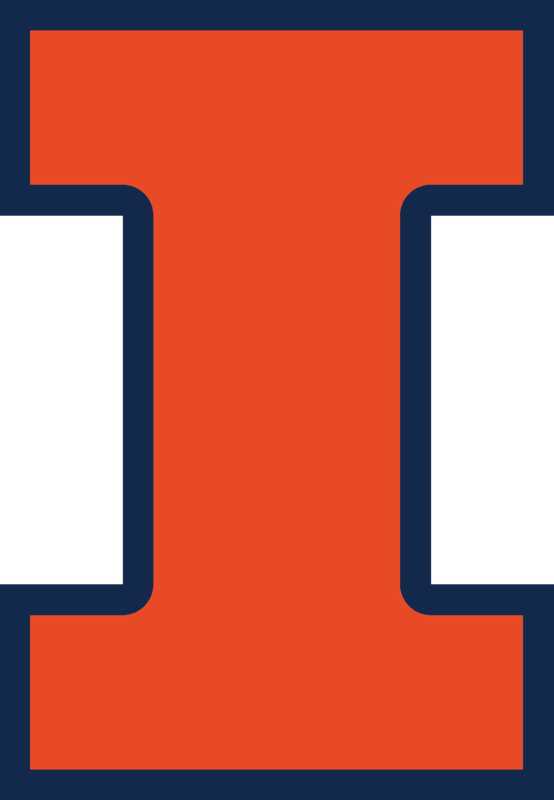 The CyberGIS Center for Advanced Digital and Spatial Studies (CyberGIS Center) was established in 2013 as a partnership among several units at the University of Illinois at Urbana-Champaign. CyberGIS—referred to as geographic information science and systems (GIS) based on the advanced infrastructure of computing, information, and communication technologies (aka cyberinfrastructure or e-infrastructure)—represents a vibrant interdisciplinary field for bridging advanced cyberinfrastructure, geographic information science and technologies, and various geospatial knowledge domains. Spatially heterogeneous and multi-scale changes across the globe, such as population growth, climate change, competing for land uses, and accelerated resource and environmental degradation, have created grand challenges ranging from energy and environmental sustainability to health and wellness. To tackle these challenges, which exhibit tremendous geo and spatial complexity, requires the consideration of interactions of spatial patterns and their driving processes across a number of spatial and temporal scales by combining rich spatiotemporal data, analytics and models to form novel problem-solving approaches enabled by CyberGIS. The CyberGIS Center, directed by Dr. Shaowen Wang, is located in the National History Building on the campus of the University of Illinois at Urbana-Champaign.